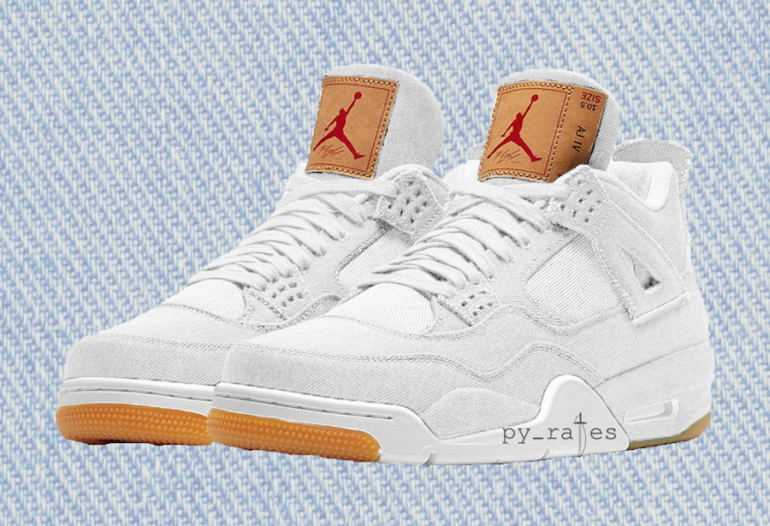 You won’t have to bleach your original Levi’s x Jordan 4 anymore. It has been confirmed that a white iteration of the collaboration is, in fact, going to release this summer. The sneaker comes in the same makeup as the original, indigo pair, but with another colorway to add to the collection. Customizers will be going crazy with this one, as it acts in the same essence of a blank canvas. Along with the distressing that most sneakerheads with this all-denim sneaker have done, it is intriguing what customizations we will see on Instagram with this one. The details on this collaboration are crazy, and with the distressing and bleaching, it just adds character to each, individual pair. However, unlike the blue indigo pair, it is rumored that this white colorway will be the most limited amongst the blue and black pair coming out, as well. The sneaker will release on June 16, 2018, at select boutiques and Jordan Brand retailers. It will retail for $225 USD for men’s pairs and $200 USD for grade school pairs. In addition, it is rumored that the black pair of the same collaboration will release on the same day. Stay tuned to www.tucmag.net for further details as we get closer to the release date.